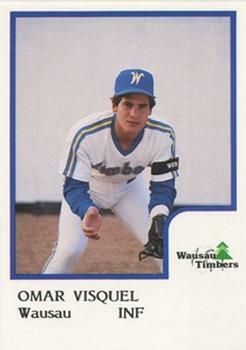 Former major-league star, possible future Baseball Hall-of-Famer and definite ex-Midwest League player Omar Vizquel will manage in the Chicago White Sox organization next year. Vizquel retired from playing after the 2012 season. He was an active major-leaguer for 24 years and won 11 Gold Glove awards during that time. He played in more than 3,000 MLB games (2,968 regular-season and 57 postseason contests). He is in his first year of eligibility for the Baseball Hall of Fame. Voting results of the Baseball Writers’ Association of America election will be announced on Jan. 24, 2018. This entry was posted in Baseball Hall of Fame, Burlington Bees, Carolina League, Clinton LumberKings, Gold Glove Awards, Kane County Cougars, Midwest League, Winston-Salem Dash, World Baseball Classic. Bookmark the permalink.